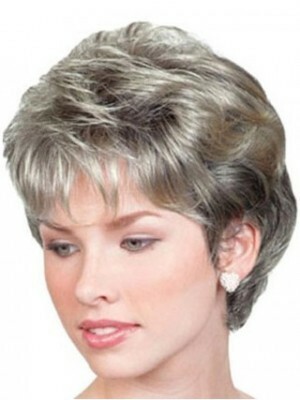 Hair Length Bangs 4", Crown 3.5", Sides 1.5", Nape 2"
It is a short Heat Friendly Synthetic Wig with wavy hair, wispy bangs. The Wig provides the look of natural hair growth at the scalpline, along with maximum styling versatility. Very nice color and soft touch.